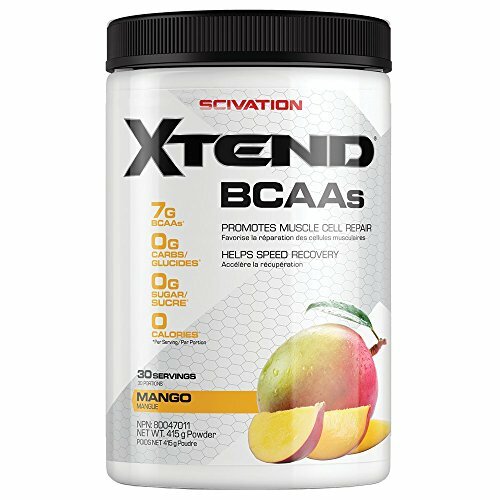 Muscleenergy are proud to offer the famous Xtend BCAAs Mango Nectar 415g 30 serve. With so many on offer today, it is great to have a name you can recognise. 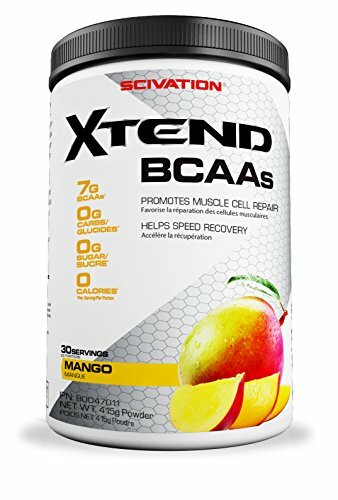 The Xtend BCAAs Mango Nectar 415g 30 serve is certainly that and will be a perfect purchase. For this reduced price, the Xtend BCAAs Mango Nectar 415g 30 serve is highly respected and is always a regular choice for many people. SCIVATION have provided some great touches and this results in great value for money. 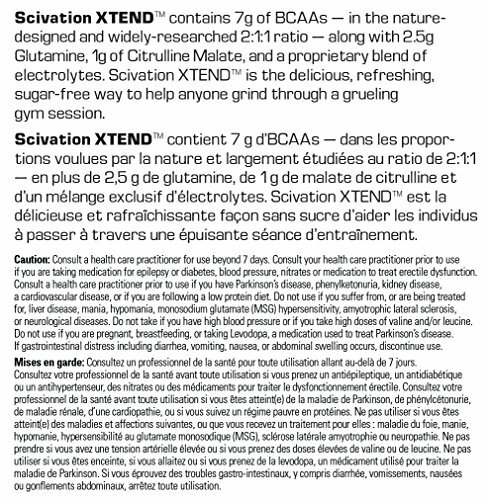 XTEND is the best-selling, most advanced BCAA drink mix on the planet. 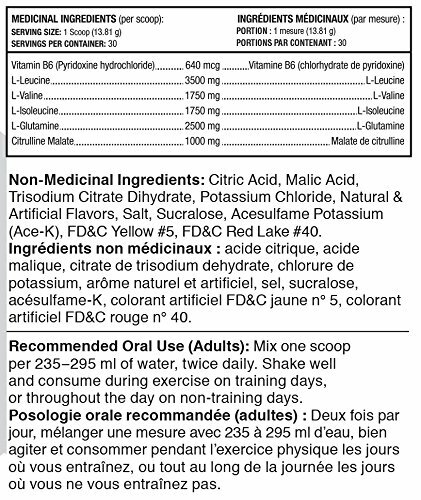 At its heart are 7g of BCAAs in the nature-designed and research-proven 2:1:1 ratio, plus glutamine and citrulline malate. 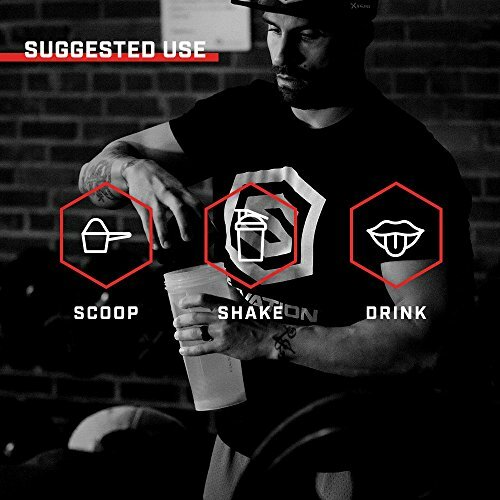 With a proprietary blend of hydration-inducing electrolytes, XTEND BCAA powder is a sugar-free and carb-free way to help anyone grind through a grueling gym session. World-class athletes, champion fighters, elite bodybuilders, and weight training enthusiasts of varying types all use XTEND during their workouts in order to train longer, harder, and with more intensity. Designed for intra-workout consumption and shown effective in two university studies*, XTEND BCAA powder is the most advanced product of its kind and helps to facilitate both fat loss and new muscle construction. By orchestrating optimal protein synthesis and by balancing the intracellular energy economy, XTEND seriously shortens recovery time. You just don't feel recovered, you are recovered. With unparalleled mixability, delicious flavors, and an array of ingredients in scientifically-proven amounts, XTEND BCAA powder continues to outpace the competition. Build muscle, burn fat, and prolong the intensity of - and recovery from - your next workout with XTEND!